Welcome to Arthur Atkinson. established in 1934 we are a family run business based in Lingerfield on the outskirts of the market town of Knaresborough, North Yorkshire. With an ever expanding customer base in the Knaresborough, Harrogate, Otley and Leeds areas, our business is founded on delivering high quality fuels with a prompt and courteous service. In addition to our delivery service we also offer our customers ‘click and collect’ from our premises. Our range of products encompasses not only kiln dried and hardwood logs, smokeless briquettes, housecoal and eco fuels, but also leading brand Calor® products, fireside accessories and fuel storage solutions. 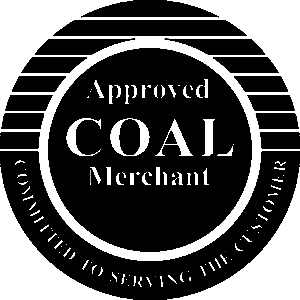 We aim to attain the highest accreditation in our field and through the approved coal merchants scheme you can be assured of responsibly sourced quality fuels. Ordering and payment is easy, by either phone or our website which aims to provide our customers with up to date pricing, products, simple order processing and online security. So whether you use large or small quantities of fuel, or simply would like to stock up in a cost efficient way, we are here to help.